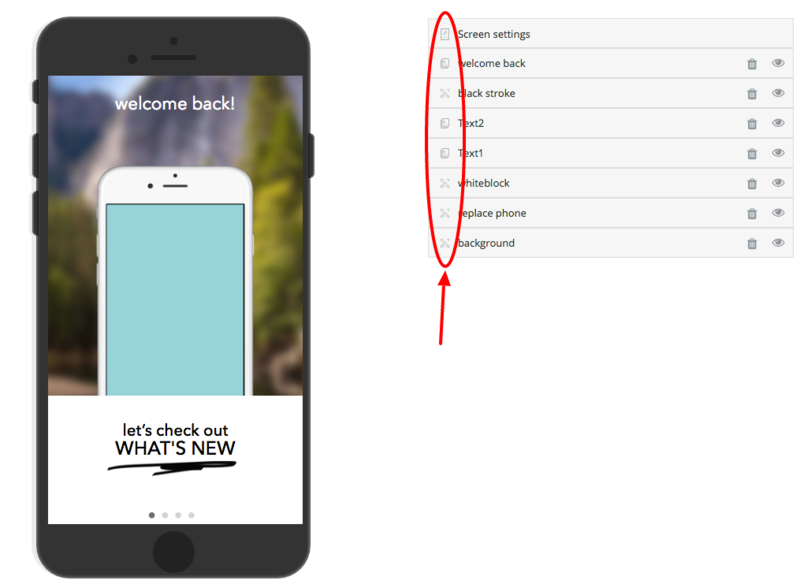 How to create "Woodswhite" template? Screen 1: Most of the images in the screen we have created. You should upload your images that best suite your experience. For the sake of the article, you can access our gallery and choose the images that relate to this experience in order for you to become acclimated to the platform. The very first element that is placed on the screen is the &apos;background.&apos; This is the main background image that will be shown throughout the screens. We created this image specifically for this experience. 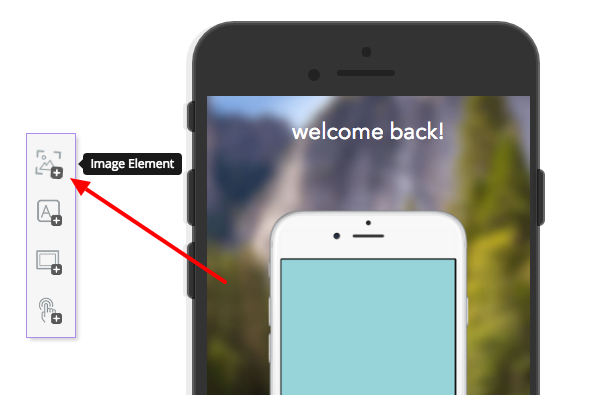 Click &apos;Image Element &apos; located on the left side of the dashboard. 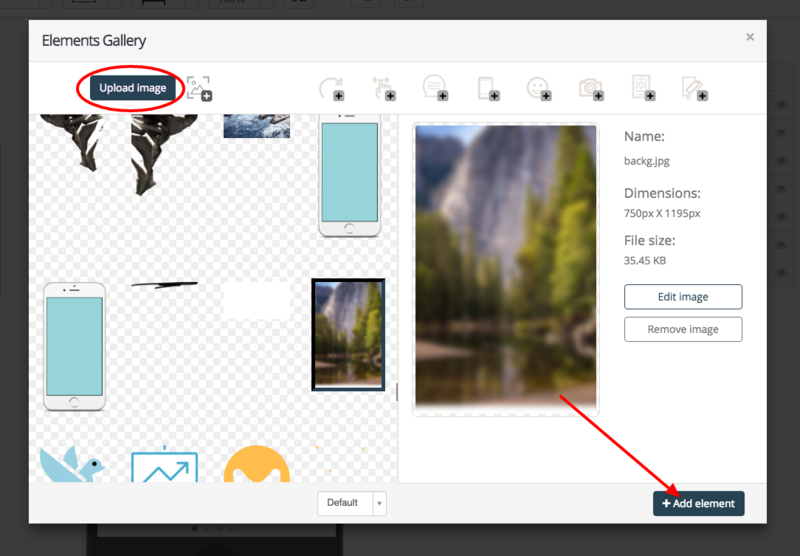 A screen will pop up, click on Upload image and then choose the image you want to upload. You can save the image to any format. 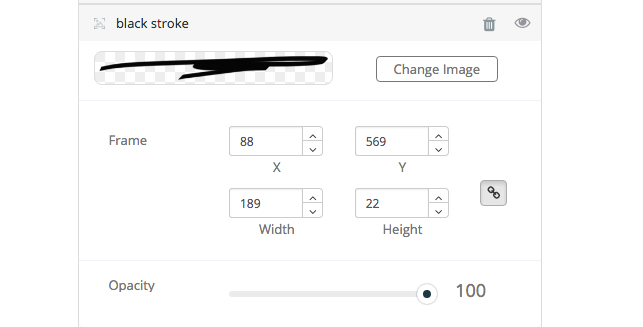 After you uploaded the image click &apos;Add Element&apos; for you image to be placed in the screen. Uploading Images: Click here for detailed instructions on how to upload an image. The next element that is placed on the screen is the &apos;replace phone.&apos; This is the iPhone mockup. We placed this image in front of the iPhone. Follow the instructions from the background image to upload the image. Each text is a separate element: the three elements are welcome back, Text2, and Text1. We moved the screen settings to be placed at the very bottom. 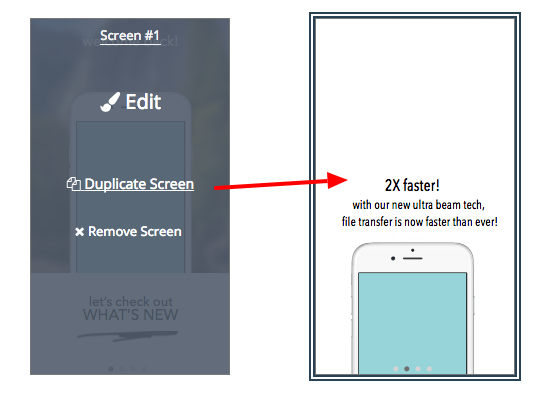 Screen 2: We wanted the second screen to look similar to the first screen, with a few differences. The main difference is that we used the whiteblock to cover the entire screen. Since the image is above the background, the background is no longer in view. Hopefully you are more familiar with our studio that the next screen will be easier to create. 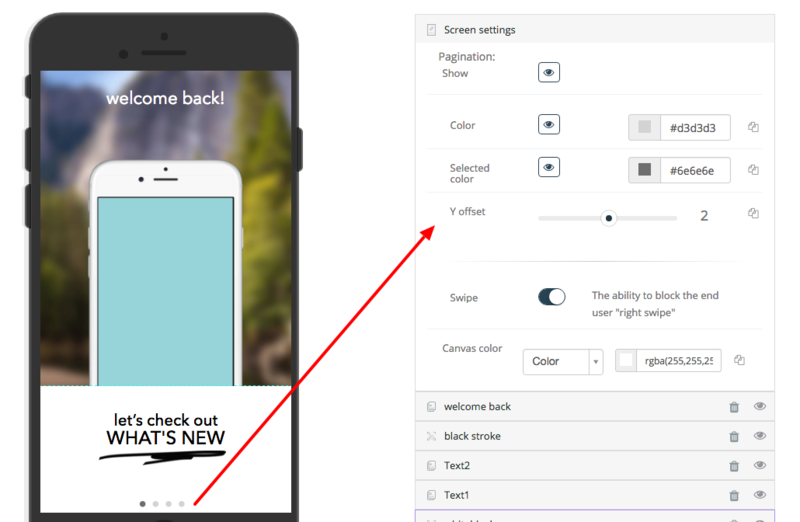 Then click &apos;Edit&apos; on Screen #2 to go back to editing your new screen. We changed the wording of the two text elements and removed the third text element. We changed the label for the two elements. We moved the iPhone to be placed at the bottom of the screen. We rearranged this image to be on top of the whiteblock. We removed the black stroke image. To remove an image, click on the trash can next to the name of the element. Screen 3: Is an exact replica of screen 2. All you will need to do is duplicate screen 2. The only difference is that we removed the background and moved the iPhone to show more of the screen. Screen 4: The only difference in the final screen, screen 4, is that we moved the iPhone to show even more of the screen and we added another element. 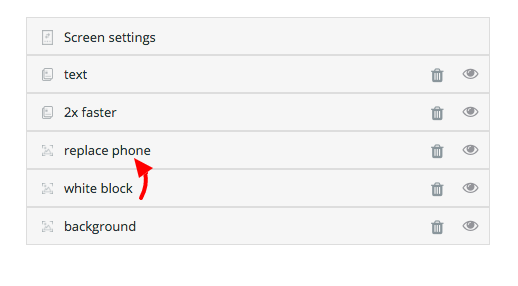 We also added a &apos;Call-To-Action Element ,&apos; x button. We placed the button at the top left corner of the screen. 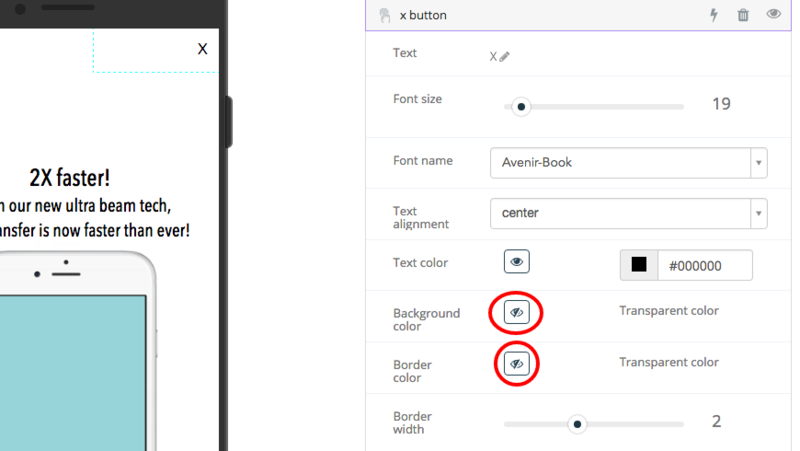 We did not want to see the border so we clicked on the eye for the background color and border color to make it transparent ; in the end all you see is an &apos;X&apos;. Lets begin by going over what is happening during this transition. The background is disappearing, while the text and images are moving in from the screen. Here is how to use the transitions. Part of the transitions are moving in from the bottom, while the other elements are switching. Make sure to reorder the elements that all will be under the &apos;Inbound&apos; group and the other elements will be in &apos;Outbound.&apos; Here is how to transition each element. Lets begin by going over what is happening during this transition. The background is staying in the same position not moving, while the text is moving in from the screen and the image is moving up. Here is how to use the transitions. Part of the transitions are moving in from the right, while the other elements are switching. Make sure to reorder the elements that all will be under the &apos;Inbound&apos; group and the other elements will be in &apos;Outbound.&apos; Here is how to transition each element.